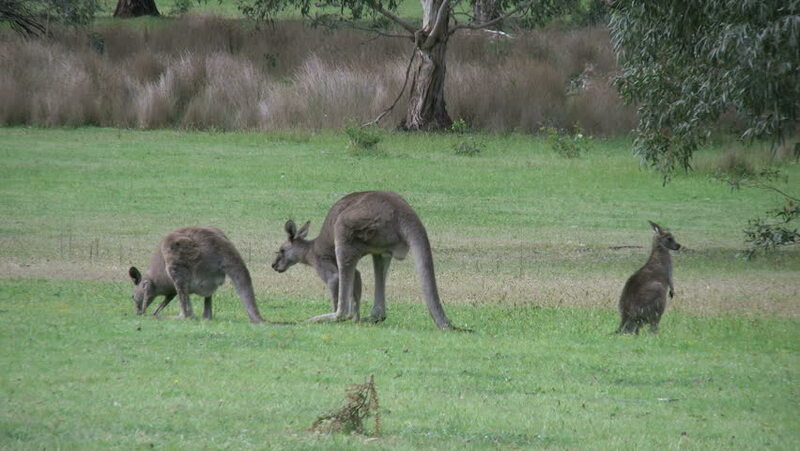 One kangaroo stands up while another one feeds. 4k00:15A herd of Hippos in wild Africa. Standing motionless on the banks of the Mara river with brown water. Others lie in the water and cool on a hot day. hd00:12Balkan storyline. Semi-wild horses graze on a hill in Eastern Thrace. hd00:33Mature, male wild boar (Sus scrofa) grazing calmly on grass in front of fresh water lake. Front view of pig and zoom in closer after a while.